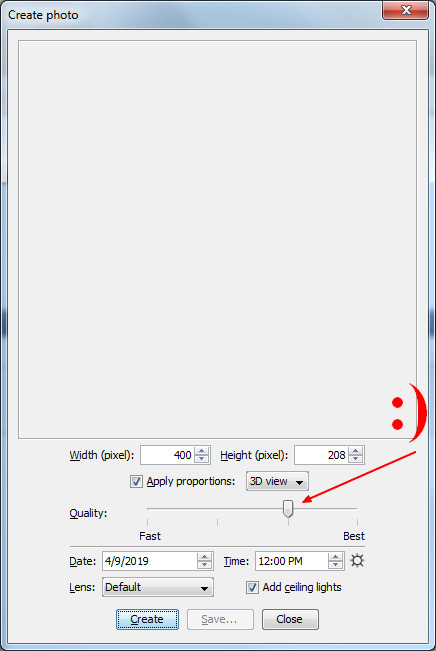 I'm using SweetHome3D v 6.1.2 for Windows x64. PC specs: Intel Core i5-4460, DDR4 8GB, GeForce GTX 970, Windows 7 Ultimate x64. Without having access to your file, it's hard to say what's going wrong. 1 - In order to simulate sunlight you need to use quality setting 3 or 4. Q1 and Q2 won't show any sun.